Redemptorist missionary Rev. Russell James Abata died on October 20, 2014, in the New York-Presbyterian/Weill Cornell Medical Center of Manhattan. He was 84 years old. 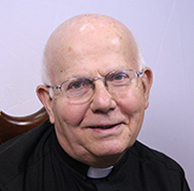 Read or download Father Abata’s full obit here.